The dishes we most enjoyed in Ecuador this summer were from the sea. Of course we were on the coast in Salinas and that’s prime seafood and fish country. There are many shrimp farms near Guayaquil, 1½ hours from Salinas. We enjoyed fish at least once a day. The shrimp fried in coconut at LuvnOven on the boardwalk across from the ocean where we swam every day, is succulent, fat, and crisp and more than this slimmer me can eat. Then there’s the corvina or Sea bass, which we enjoyed fried whole in a light batter. Our special resto for this tasty dish is Marazul, one street back from the board walk. At $8.50US for the shrimp platter, served with veggies and salad, and $6US for the whole fried seabass, these are the best Salinas has to offer in fish and seafood. And there’s more: both restaurants offer an incredibly delicious seafood soup, which is a meal in itself at $9 and $7. It can be divided as a starter. 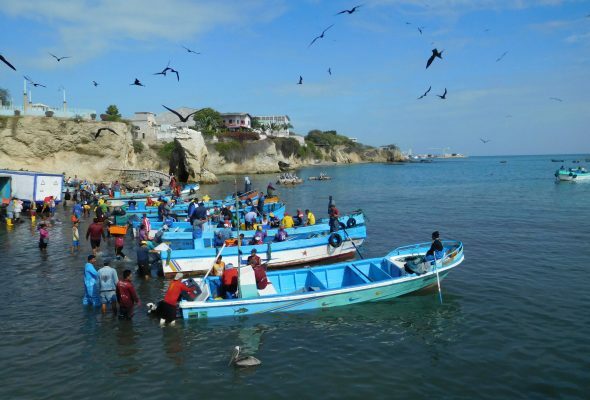 Much of the fish is caught in La Libertad, five kilometers from Salinas, a bustling port that we discovered on this trip. The covered market is over-the-top in its choices both in food and clothing. The sheer number of fishmongers who accost you with the fish of the day is somewhat overwhelming, but fun too! 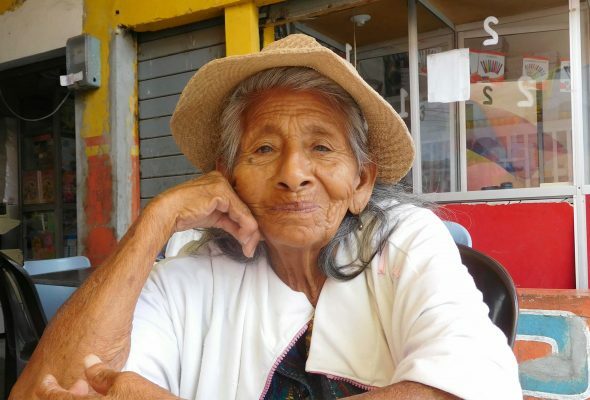 We were told by our friend Felicita that all the fish caught on any given day is sold by the end of that day. 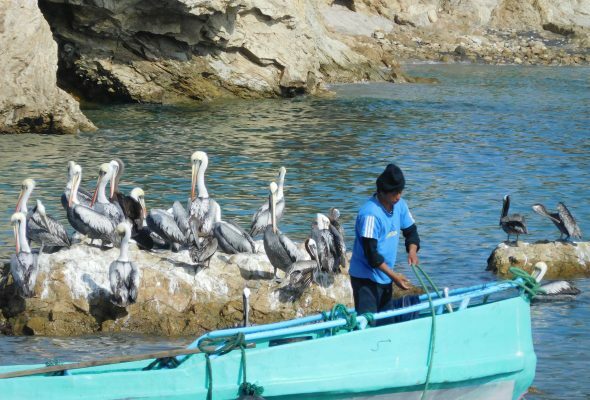 The best way to show off the fishing experience is with these photos of our daily trips to La Libertad. The menu del dia (menu of the day or lunch special) served in the market and on the streets near the market at $2.50US is fun and filling and often includes fish or seafood. I travelled to La Libertad with Felicita on several occasions to buy a layette for her about-to-be-born great-grand-daughter, and was told by mother-to-be Lisette that the baby’s name would be Kaitlyn Barbara. After strolling along the market, picking up lots of baby clothes, a crib and a stroller, we took a taxi back to Salinas. But not before we treated the lady you see in the photos to lunch. Whenever we went to La Libertad she was waiting for us and joined us for a free meal. They say it’s great to get to know the locals, and, we did. Be the first to comment on "Ecuador: There’s something fishy going on in La Libertad"